As the company grows we are adding more and more partner certifications with major IT vendors. 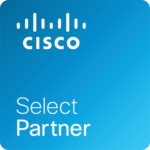 We are pleased to announce that we have now a Cisco Select Certified Partner Partner. Following on from our success in implementing various Cisco solutions including the Meraki wireless products we have moved up to become Certified Partners.